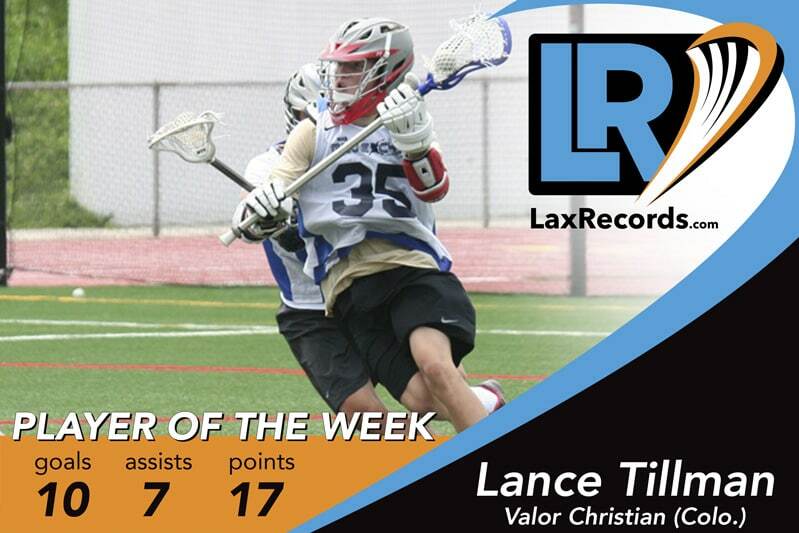 Tillman, a UNC commit, totaled 17 points in the final two games of the season to help Valor Christian to the 4A state championship. He had 10 goals and seven assists in the state semifinals and finals. The sophomore had nine points in the Class 4A semifinal win over Cheyenne Mountain (Colo.) on May 17. He scored six goals and three assists. He followed that up with eight points in the championship game, a 20-12 win over Dawson School (Colo.). Tillman had four goals and four assists in the title game. The win earned the Eagles their second consecutive championship in head coach John Grant Jr.’s third season. 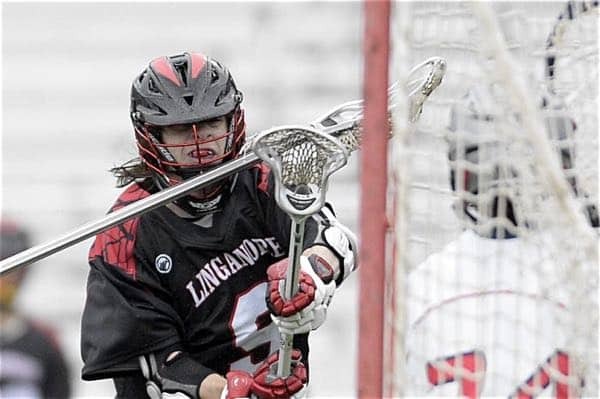 The senior had a game-high four points on three goals and one assist as Middle Creek defeated defending state champ Cardinal Gibbons (N.C.) 14-8 last week. 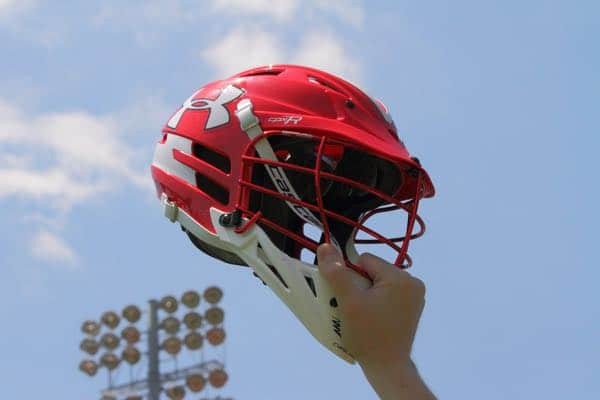 The Duke commit followed that up with four goals in the state championship game – a 17-8 win over Lake Norman (N.C.) to give Middle Creek its first-ever state lacrosse championship. The senior scored eight goals for Christ School (Arden, N.C.) in an 18-2 win over Charlotte Country Day (N.C.). Cinque’s performance came in the NCISAA Division I title game to earn the Greenies their first-ever state title. The senior scored four goals as the Mavericks defeated defending two-time champ Poway 11-8 in the San Diego Section Open Division semifinals. Mora led the Cubs with five goals and two assists in a 13-4 win over Foothill-Santa Ana to win the its second consecutive section title. Mora is a Maryland commit. Moon scored five goals in the final two games of the year to bring the championship back to Marietta. Moon scored two goals in the Class 6A/7A semifinals in an 11-9 win over Allatoona (Ga.). He followed that up with three goals in a 10-5 win over Lambert (Ga.) in the championship game. The Lassiter win ended Lambert’s 39-game win streak against in-state opponents. The senior had 10 points on six goals and four assists in a 15-5 win over Howard (Md.). The senior’s performance came in the Class 4A/3A East Section I final, which propels them into the region final on Wednesday. The senior added five goals and one assist in the 4A/3A East Region title game against South River (Md.). Swoyer scored six goals and two assists in an 18-7 win over Middletown (Md.) in the West Region final on May 15. 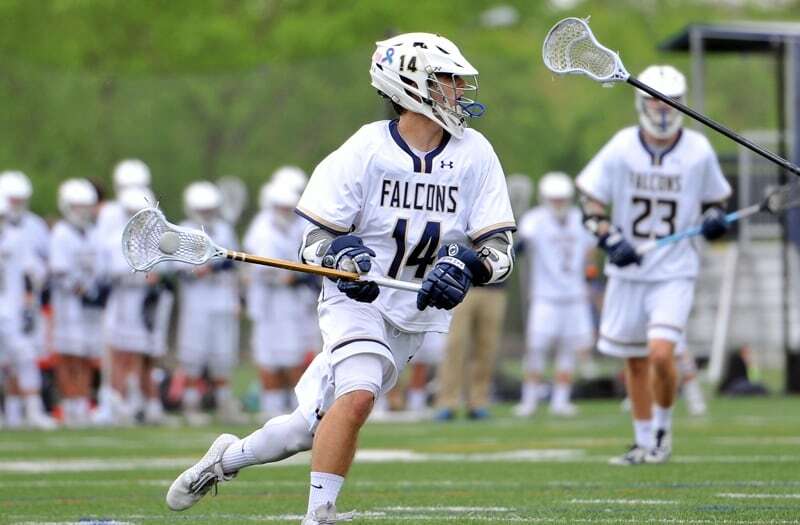 The attackman became the first player in Lancer history to pass 100 points in a season with his performance. Theuer made 30 saves in the final two games of his high school career, and both games won the Cubs championships. 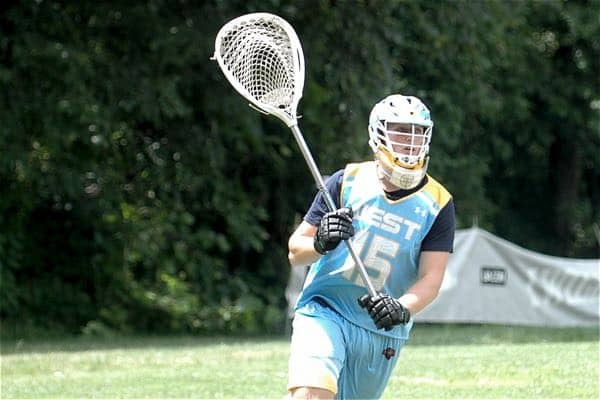 The Tufts commit made 24 saves in an 11-5 win over Palos Verdes (Calif.) to win the LA Championship. He followed that up with six saves in a 13-4 win over Foothill-Santa Ana (Calif.), which won their second consecutive Southern CIF championship. Theuer finished his career with 760 saves – the most known in California history. Wolf had eight points on six assists and two goals in a 13-12 win over Parkland (Pa.) on May 16. He had four points on three goals and an assist against Easton (Pa.) on May 11.